Not only we have male actors debuting from big and influential families in the Film industry, but we also have female actors. We have Mega family which is one of the biggest family from industry and also the family with many actors. Niharika Konidela is one of the actors who debuted from Konidela family with Oka Manasu with Naga Shaurya and it disappointed big time. After that, she did a Tamil movie and another Telugu movie which also disappointed. She did short films and web series and none of them gave her success. She is now coming up with a movie titled “Suryakantham” under the direction of Pranith Brahmandapally which is being produced by Nirvana Cinemas. Let’s see how it works as it is releasing into theatres today. Abhi (Rahul Vijay) comes across Suryakantham (Niharika) and falls in love with her. With her own reasons involving her parents and their relationship, she is afraid of relationships and she tries to avoid them at any cost. She lives with her mother (Suhasini) who always wanted to get Kantham married for a better life after her death. Kantham becomes close to Abhi and his family when her mother died and they all take care of her like a baby in her mourning days. She disappears fearing those bondings and relationships for a long time and Abhi gets engaged to Pooja (Perlene Bhesania) and it is the time Suryakantham comes back into the life of Abhi. What happens after that is the story. 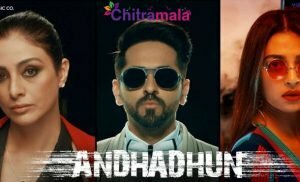 Rahul Vijay is fine in his role as Abhi. He could be better in many sequences. Niharika Konidela is good. She owns some sequences with her attitude and disappoints in a few sequences. Perlene Bhesania is okay. Suhasini has done a nice job in her limited role. Sivaji Raja and Satya evoke a few laughs. All other actors are okay in their roles. The songs composed by Mark Robin are okay. None of the songs can be remembered after the movie. He did an okay job with the background score. The cinematography by Hari Jasthi is fine. Editing could have been a lot better. The production values are good. The story of Suryakantham tells a love story between three confused persons. There is nothing in this movie that can make audience stick to the screen. The characters are written without an actual character sketch and they seemed so confusing. The character of Niharika, which completes the movie title lacks the actual traits of Suryakantham and it is a poorly developed character in the movie. 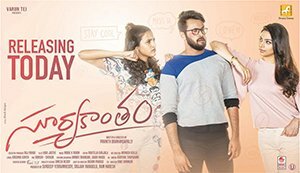 Director Pranith Bramandapally has written an episode kind of story as a full movie script which is overly written in length without any moments to engage the audience. Anything can be fine for a short film or an episode for YouTube as the stakes involved are too tiny and but the case with the movie is too opposite. We can’t make a small short film into a two and half hour movie because of having a producer and an actor from a big family. There are a very few minutes in the movie that are really entertaining and they cannot compensate for the underwhelming movie. 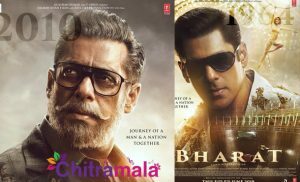 Writer and director seemed to be confused about making decisions and it made the film bad and editor could have chopped out a few sequences to cut the length of the movie. 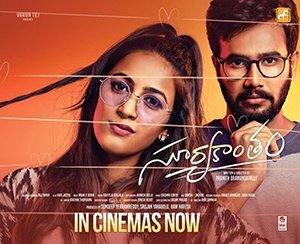 To sum up, Suryakantham is another disappointing film from Niharika Konidela who relied solely on his friend and director.